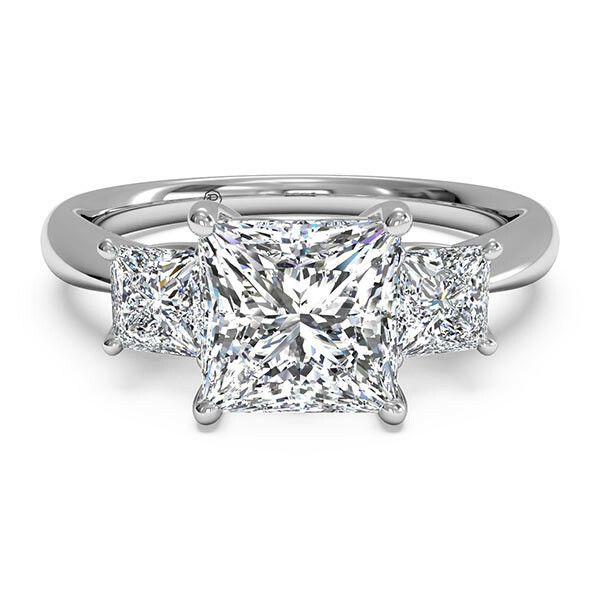 Three diamonds grace this engagement mounting from Ritani. Shown in 14kt white gold, the three-stone ring has a raised prong setting that will cradle your princess-shaped center gem securely above a tapered shiny band. The piece is also available in 18kt white, yellow and rose gold, as well as platinum. You treat her royally; give her an engagement ring fit for a princess!